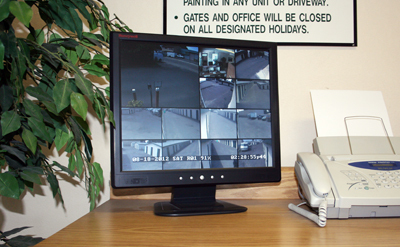 16-camera closed circuit video monitoring. 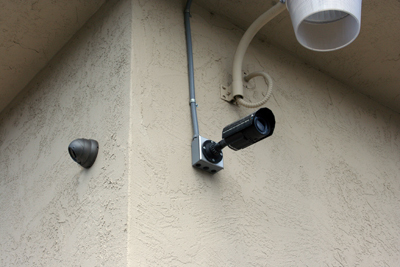 Our state-of-the-art video system is infrared enabled, with the ability to record after dark. Video is recorded to disk 24 hours a day, 7 days a week. All recorded video is available for up to 30 days. 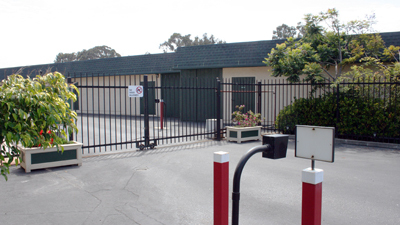 Each customer is provided with a unique gate code and all gate activity is recorded and logged. Our managers live on-site and frequently "walk the property" during and after office hours.